A great option for people who may have lost a tooth, whether from injury or periodontal disease, can turn to inserting an implant. 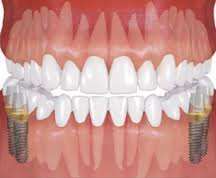 A dental implant can take the place of a missing tooth gap and is an artificial tooth root. 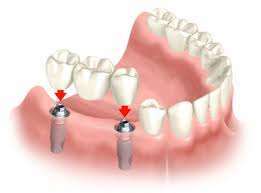 There are two main types of dental implants. One type is Subperiosteal which is an implant placed on the bone. 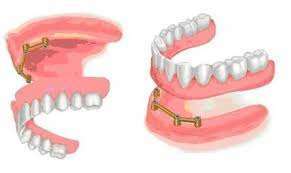 If you have a shorter jaw bone or are unable to wear dentures this would work best for you. A Subperiosteal implant has the metal posts sticking through the gum into the prosthesis. The other type of implant goes into the bone and is called an Endosteal implant. This type is more common than the first implant mentioned. An Endosteal implant could implement screws, blades or cylinders placed into the jaw bone surgically. These artificial tooth roots can be an alternative for removable dentures or bridges. Dental implants are an amazing alternative to teeth. If a missing tooth causes complications to eating or other oral activities it is a great option. It can improve a person’s confidence by creating a fuller, more beautiful smile. Once you received an implant it is important to treat it like a normal tooth. This means keeping up with dental hygiene with flossing and brushing regularly. It is also important to visit your dentist, to make sure there is no infection in the gum and no other implications. If you are interested in getting an implant one should consider their general and oral health. The procedure itself varies on the need of the surgery. The need can result in replacing a single tooth, replacing several teeth, and replacing all your teeth. There is also a dental ridge modification which is surgically altering the jawline and can greatly increase your success of keeping the implants in longevity. Implants should last a lifetime but they do have a tendency of becoming loose or falling out. You can prevent this by taking care of your implant. The way you do this is to practice good oral hygiene. Make sure you are brushing your teeth and gums , as well as using mouthwash twice a day and flossing at least once a day. The last thing to do would be to visit your dentist regularly for cleanings and check-ups and do not chew on anything too hard.